Orange, CA, September 21, 2010 — Coastal Innovative Products, Inc., manufacturer of LanaiDoors™ (a California corporation) ("Lanai Doors"), today announced successfully completing the rigid Miami-Dade County hurricane testing. Lanai Doors™ industry leading aluminum bifold door system obtained a DP-70 rating (165 mph winds) for non-water tight and DP-55 rating (148 mph winds) for water tight. This versatile hurricane rated glass folding wall system will impact every wind-borne debris coastal region from the North East to the Gulf of Mexico and all of the Caribbean and Hawaiian Islands. In accordance with TAS 201, TAS 202 and TAS 203 (collectively, "TAS") and ASTM E1886 and ASTM E1996 (collectively, "ASTM"), Lanai Doors™ multiple systems successfully passed the rigorous 9,000 design pressure cycles after both large and small missile impacts to its 1-inch insulated impact glass. 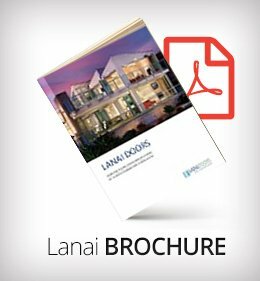 In addition, the Lanai Doors™ bifold systems passed all forced entry resistance testing and their standard threshold obtained a 0.02 air infiltration which is 15 times better than allowable. Lanai Doors™ filings with Miami-Dade County and various states are pending. "I am proud how well our aluminum folding door system performed during hurricane testing", stated Jeff Jarvis, Owner/Chief Operations Officer. "For several years, we invested significantly in design, testing and developing our aluminum bifold system around the Centor E3 hardware. Our results prove that we manufacture here in the United States a very high quality product with one of the best bi-fold hardware in the industry." Based on these test results and Lanai Doors™ preliminary Miami-Dade County test proposal, the Lanai Doors™ system is one of the largest hurricane tested folding door systems in the industry measuring up to 48-feet wide, using sixteen 3-foot wide by 8-foot tall panels. This system will be available in 80 different outswing and 80 different inswing configurations and can be manufactured with an option of three thresholds (standard, lowrise or flush lowrise). Outswing standard threshold is the only water-tight option and the lowrise threshold is ADA compliant with a ½" rise above a finished floor. "I am very excited to be entering the hurricane bi-fold market," stated Shelly Johnston, Owner/President. "More and more states have implemented the International Building Codes which require ASTM hurricane testing methods for wind-borne debris regions. Since we sell our products directly to homeowners, contractors and builders, North America wind zone customers will have more competitive purchasing alternatives." Lanai Doors™ hurricane systems will continue to have their sleek clean look with only three hinges between each 1-3/4 inch thick panel and 3-inch wide stiles. Lanai Doors™ accomplished this by selecting some of the best component parts in the industry to accompany their sound aluminum bi-fold designs. A key component is the Centor E3 hardware which is made from robust stainless steel. Centor managing director Nigel Spork said he was very pleased to partner with Lanai. 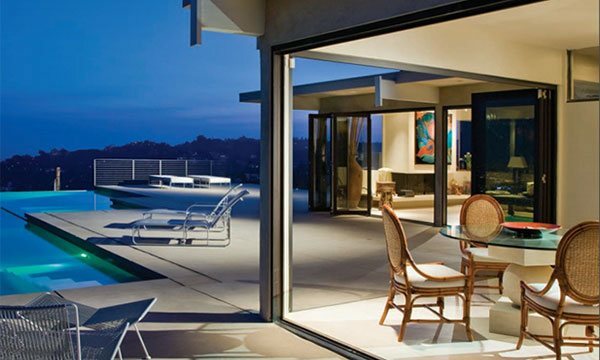 "They are amongst the folding door industry leader’s – Lanai’s doors truly achieved remarkable performance and we’re delighted they are moved by Centor," Mr. Spork said. "Centor is committed to creating the most durable and innovative bifold hardware available, and was proud its components contributed to Lanai Doors™ achieving such high hurricane ratings," he said. 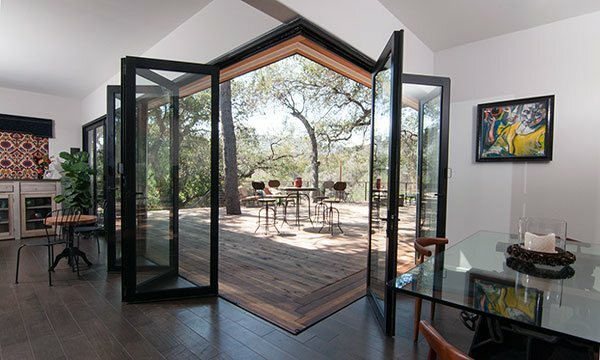 Lanai Doors™ also manufactures bifold door and window systems out of wood and clad. For both the aluminum and clad systems, Lanai can match colors from all major door and window manufacturers. Lanai Doors™ has shipped residential and commercial systems throughout North and Central America including the United States, Canada, Mexico, Costa Rica and many Caribbean Islands. These TAS and ASTM test results will provide Lanai Doors™ with aluminum hurricane certified products with hundreds of variations (80 inswing or 80 outswing configurations; 3-0/8-0 panels or smaller; high efficiency dual glaze glass with large & small missile impacts; 11" kick plate; and three thresholds).